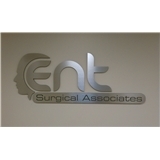 ENT Surgical Associates (Pasadena) - Book Appointment Online! HMO and any Medi-Cal attached to a primary or secondary Insurance appointments are NOT available here. Please fill out paper work and include insurance information in order to verify your benefits. Deductibles and Copayments are due at the time of service. We accept cash and major credit cards no checks. She immediately identified my hearing problem and very soon was able to move me into the treatment room. She cleared a severe wax accumulation problem. Although I wear aids, I have not heard clearly for a year or so. Love the result. He took his time and listened to me. He explained everything very well. He was very informative. I did not feel rushed by him. He was very nice and easy to talk to. His office staff are very nice also. He made sure to explain everything to me in a way that I could understand. I felt like he took the time and felt valued as a patient.